From starting school in the Early Years, the children begin to read by learning the letters of the alphabet, the 'sounds' they make and the common 'tricky words' that they will experience. This is taught in daily 4 part lessons following the sequence that is set out in the DfE 'Letters and Sounds' document. These sessions are intended to be fun and interactive. The four part lesson involves a revisit, new learning, practicing the new learning and applying it. In Phase 1, the children develop an understanding of different sounds in the environment. They distinguish between different sounds, join in with songs and recognise rhythms. In Phase2, the children start to match the phonemes (the sounds) to the graphemes (the letters) they will blend sounds to read and segment them to spell. In Phase3, the children learn to read and blend digraphs (such as ur) and trigraphs (such as igh), they learn to read and spell more tricky words (that are not decodable) and can now read simple captions and sentences. In Phase 4, the children learn to read and write different consonant blends (such as spl). In Phase 5, the children learn the alternative graphemes for all of the different phonemes learnt to far. The children learn both real words and pseudo (or alien) words. At the end of Year 1, the children take part in a phonics check where they read a mixture of real and pseudo words. At Oasis Academy Broadoak, reading is at the heart of everything we do and is a vital skill that is used across the whole of the curriculum. We want all of our children to become confident, fluent readers. Each class has a reading corner and each phase of the school has a Learning Resource Centre where reading books are accessible to all children. In Reception and Year 1 a variety of reading schemes (Rigby Star, PM books and Oxford Reading Tree) are used to ensure a broad range of books are encountered by the children. At least one guided reading session takes place each week and a different book is taken home for the children to share with their family. 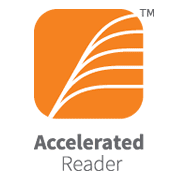 From Years 2 to 6, the children use the Accelerated Reader programme to engage and enhance their reading skills. They start each term by completing a Star Reader test that determines the level of book they will be able to read independently. The children then choose a book within this certain range, they can take it home to read and they can read each morning in their classroom. When the book is finished, the child takes a quiz to check comprehension and vocabulary. The children LOVE to take quizzes on the books that they have read, and the more quizzes they pass, the more reading badges they receive to wear with pride on their uniform.